Avengers assemble! Need something to decorate your home post seeing Avengers: Age of Ultron today? The team over at Pop Chart Lab has got you. 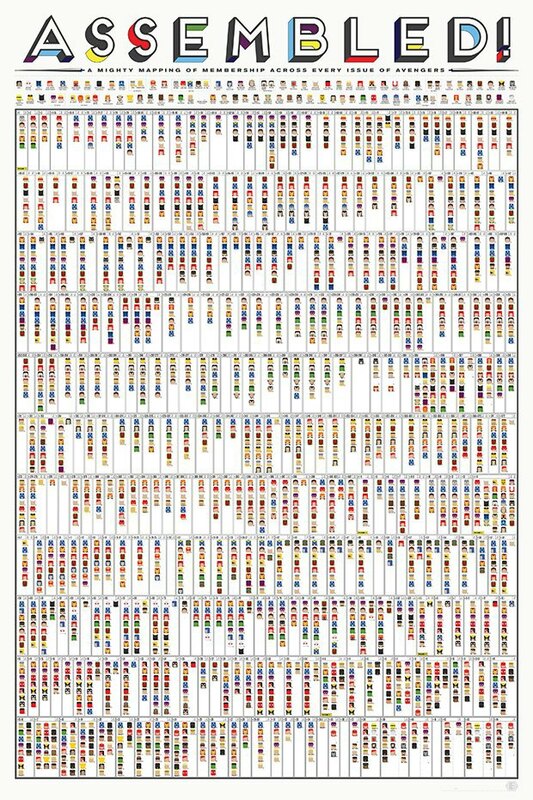 They've painstakingly mapped out every lineup of the Avengers from start (September ’63) to finish (April ’15) from the eponymous comic book title, minimalist-style. Each print is signed and numbered by the artists, and comes in a Pop Chart Lab Test Tube. To see a high-res version of the poster click here. 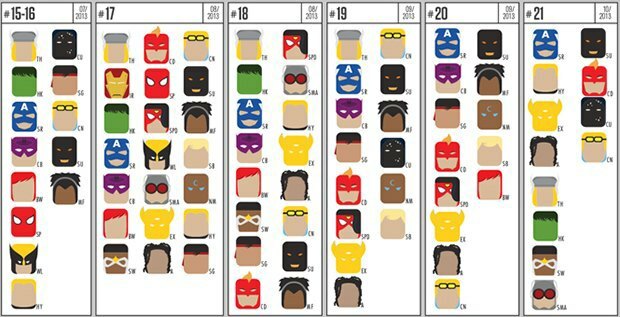 Before anyone gets up in arms, rosters of each issue’s team is limited to official, full-time members of the Avengers. This means no reserves, substitutes, backups, hanger-ons, honorary members, and trainees. There’s also no spin-offs (West Coast Avengers, New Avengers, Young Avengers, Dark Avengers, Mighty Avengers, Secret Avengers, Uncanny Avengers, Pet Avengers), no teams formed retroactively introduced in continuity (Agents of Atlas), no student teams (Avengers Academy), splinter groups (Force Works), homages to a Japanese horror classics (Avengers Arena) and definitely no Great Lakes Avengers. However, we wouldn’t mind seeing A-Force being included. Because ladies.